Day One is a simple, beautiful & powerful journal app that syncs across all your iDevices using iCloud or Dropbox. Writing on a consistent basis is majorly beneficial to making sure you stay at the top of your creative game. Also, my main resolution this year was to share less and keep more. This was fueled by things like the time and energy I spent on social networks, my motives for sharing the things I did, and how both of those things affected the important things in life. These things were already going through my head when I read this post by John Saddington. So everything I would normally share goes to Day One first. I also keep sermon notes, quiet time journals, quotes from books, thoughts for blog posts, etc. It also has a lot of geeky features like being able to write in markdown and such. The kicker for me is that it's JUST a journal app. You can keep these same things in Evernote, and it's definitely a beautiful app; however, I use Evernote as a place to store design inspiration. For me personally, it would be distracting to keep those things in the same place. The iPhone/iPad app is $4.99, the Mac app is $9.99 and are both completely worth it. You can also check out how other people use Day One. Our team started using Asana for project and task management sometime around the end of last year. So far we've had a great experience and it's been a very useful tool for our team of six. You can read more about why we chose Asana and how I use it in my church communication workflow here. Asana is free for teams of up to 15 people. There are also premium features that you can access for your team ($50/month) as well as pricing brackets for teams of more than 15 people. Check out their pricing here. Buffer is my favorite tool to use for publishing social media updates. It's very simple, integrates into Twitter, has browser extensions and provides you with some basic analytics of your posts. In July of last year, Buffer introduced the custom scheduling feature which was the only thing that it I though it was truly lacking compared the Hootsuite (which is also a great tool that many people use). The main downfall of Hootsuite (for me) was having to use its URL shortener. 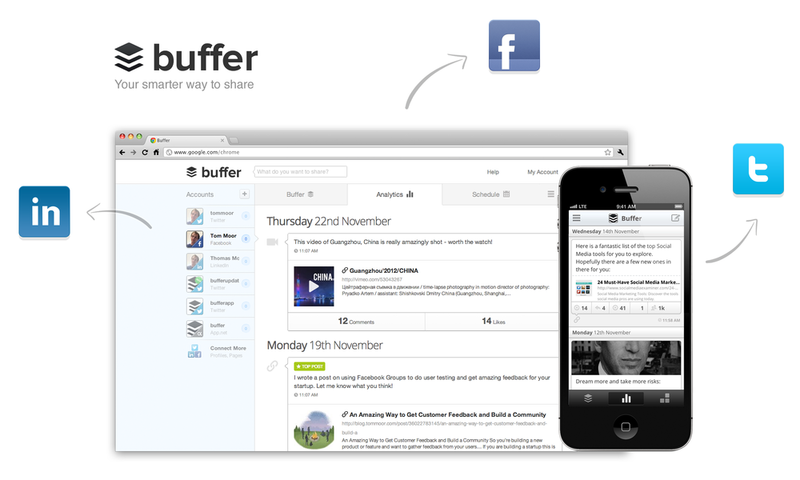 With Buffer, you can use Bit.ly and, through that, a custom short URL. Buffer is free with some limits on posts, etc. You can upgrade to The Awesome Plan for only $10/month to get unlimited posts, up to 12 social profiles & 2 team members. Wufoo is an easy form creation tool. We use it for event registration (both paid and free), conducting surveys and gathering information (like communication requests). The forms natively exist on secure pages hosted by Wufoo, but you have the ability to customize them with your branding so they don't look out of place. Wufoo offers a free account with several pricing tiers. They also give a 50% off to non-profits. Delicious Library 3 is a simple, low-cost inventory solution for the Mac. While there are more robust solutions out there, we primarily needed to have a detailed inventory of gear and as well as a check out system. From an inventory standpoint, we're able to have a log of essential information (image, product description, serial number, purchase price, etc.) as well as organize the library into relevant shelves. In addition, product information is automatically pulled from Amazon. Checking an item out is as simple as adding a friend and dragging the item to their name. Priced at $25, it's worth every penny...and you can try it free first. Also, check out their Delicious Scanner for iOS which allows you to quickly add new items to your library. *Huge thanks to Barry Carpenter for this write up on Delicious Library 3.